We don’t use 3D floor plans because when our clients were given the choice, they did not WANT 3D floor plans for their luxury homes. Upon comparison they felt SMARTePLANs showcased their property much better than 3D floor plans. Why? When you extrude the walls of a floor plan “up” to create the 3D effect, you are in fact enclosing the space — making the rooms much smaller and darker. If you view the 3D floor plan straight down … it now looks a lot like a rat maze in the psychology testing lab. If they angle the diagram (dollhouse view), then you can’t “see” the rooms behind the extended walls because now the front walls overlap the rear. Their solution to overcoming these problems is to cut off the ceiling and allow the drawing to rotate so you are now able to see the small rooms inside the extended walls. Cut off the ceiling? Seriously? Luxury homes frequently have finely crafted ceilings, many with ornate or embellished plasterwork, coffering and custom moldings — why would you cut that part out? Also, if you rotate the diagram the viewer has now lost all perspective of “where” each room IS on the property — does it overlook the pool? Do those doors open to the rose garden or the fountain? We feel our job is to SHOWCASE the features and attributes of the whole property. We want to avoid undesirable outcomes like …. making rooms smaller instead of larger, making a property look like a rat maze, concealing portions of the rooms, and obscuring the relationship of the rooms to important outdoor space. If the floor plan product depends on scanning every room in order to build the floor plan … how much time, effort and stress will be on you and the seller to get THE ENTIRE PROPERTY photo ready? Now every single room has to be picture perfect? Owch. We don’t make agents and sellers jump through hoops just to market their property. We just need access to the property … at that point, we don’t care what it looks like, and its “looks” at that time will not affect the quality of the SMARTePLAN. Similarly, we work in rain, cloudy days or even at night if that is the only time available and that’s what it takes to make it happen. The availability of “good light” for optimal photography is not a factor when creating a SMARTePLAN; we just show up to go to work and get it done. One of the biggest problems buyers face is their inability to look past the present coloration and decorating in the rooms. The scanning technology exacerbates this problem by dropping you down into the close confines of the room. Color is very subjective, you just never know how certain colors negatively impact your individual buyers. SMARTePLANS are black-and-white by design — we are the tuxedo of drawings — we allow the buyer to fall in love with the SPACE and see how that space fits their family’s needs and not be negatively turned off by individualized decorating. Very confusing to continually have to switch between modes — dollhouse-mode, floorplan-mode and photo-mode in order to tour the property and just to be able to see the layout and rooms and their relationship to each other. Many report problems using the controls, particularly in photo-mode and the “walk-through” feature .. and find it glitchy and difficult to control; their focus has to switch to making-the tour-work vs. actually seeing-the-home. “Frustrating” was a frequent comment heard in this regard. The motion is uneven, can produce a fish-eye effect and quite a few testers reported the movement made them dizzy. Ceilings are important in luxury properties … too important to cut out of the drawing. Peaked, beamed, coffered, cove, stacked crown molding or plaster work .. we show them all and also have the opportunity to hang the light fixtures in each room, from multi-tiered candelabra light fixtures to crystal chandeliers with cascading prisms and drops — we draw them for you— and are not included if EXCLUDED (and noted as such). Testers told us that having to switch between all-three-modes to “see” the house was difficult and confusing and having to walk-through became very tedious once the novelty wore off — but still even with using all 3 modes they had very little “information” about the property and its NOT EVEN CLOSE to the property information that SMARTePLANS provides. Be wary of the high definition and visual clarity of the floor plans constructed from stitched together photographic scans of each room. In the online demos I saw, you could “walk” right up to the location of the security system keypad and read the manufacturers name and model number. Protect your client — that information needs to be cloaked, as well as the location of security cameras and other security features that should not be on the Internet. Check and verify the load times, which can be lengthy with some technologies. Better yet, ask to see a sample that is comparable square foot to your property. I often see small condos and high rises used in the demos, but then the load times will obviously be much longer for larger properties. Check the player needed for the technology and how do people access the player required for it to open and play? SMARTePLANS are PDF files — the gold standard for sharing digital information. What if the rooms just do not photograph well .. they are very dark, or bleak or in actuality really quite tiny? Walk-in master closets can be claustrophobic with clothes hanging from every wall (and sometimes quite messy). However, this is space everyone wants to see .. it has to be depicted. We identify and show you all the built-in organizational components inside the master closets ..how many double/single hanging bars, drawers, shelf-towers and the number of shelves; laundry-drop compartments, etc. Testers used to SMARTePLANS really missed not being able to “see” the inside of closets and cabinets — the 3D technology just shows them a photo of the outside of the cabinet.. with no clue as to how it’s configured. Using the Kitchen as an example, SMARTePLANS shows under-counter glide-out shelves; trash slides; spice trolleys; roll-out pantry slides; compartmented cabinets and drawers; rotating lazy susan storage units and the size and dimensions of the walk-in pantry and configuration of its shelves. What if the Seller doesn’t want the property photographed, or maybe doesn’t even want a floor plan? We have have quality marketing products that address both of these situations. Our floor plans are enhanced by high quality photography, but not dependent upon it. Similarly, we have a great product for luxury properties that showcase all the features and finishes — without using a floor plan. Ask about our Illustrated Property Guide, it is not unlike the online high quality guidebooks you find in many major museums today. What if a seller has re-purposed rooms … a bedroom into an office, or a bedroom into an exercise room? SMARTePLANS can show the space as it “can be” — where the scanning technology can only show it as it is. We show the WHOLE PROPERTY because buyers BUY the whole property. Creating a floor plan for only the walled structures, is showing only half the property. What about all the outdoor space — pools, covered porches, summer kitchens, gardens, terraces, loggias, boathouses, docks and jetties? SMARTePLANS are flexible to the size and needs of marketing the property. We’ve done everything from a 42′ sailing yacht to a 14 acre horse farm with a 2 acre lake in the middle of it… and both are available for you to see on this website. Whether the space is small and compact — like a yacht; or large and expansive like acreage — we showcase the property. SMARTePLANS print out very nicely and make a handy “map” to the sale, making it easy for buyers to take notes as they review the property. We also print out to poster size (4′ x 3′) and are particularly effective when placed on an easel at open houses for large estate homes. ALL SPACE is visible and described, even the inside of closets and under the Kitchen cabinets. We tell you the dimensions of each walk-in closet and its organizational components .. right down to how many shelves in the shelf towers; how many drawers in the chest of drawers and how many double and single hanging bars are in the closet. An agent can easily cut-and-paste the SMARTePLAN’s® floor plan and Amenities Text into a print format to make custom high quality brochures, flyers, hand-outs, etc. The materials can be …and ARE…. easily studied in great detail by noting each photograph’s position in the drawing, and the angle of the shot; refer to the Amenities Text as a guidebook. Starting at the front door, the Amenities Text takes you by the hand and leads you room-to-room. SMARTePLANS are easily updated, relicensed and used again by the agent when the home next comes onto the market (perhaps 3-5 years from now). New photography is dropped in and the property materials are updated — the cost for the original agent is a low reload fee — which assists them in farming a neighborhood. However, the 3-D technology is useless once material changes have been made to the interiors …paint colors, different furniture, etc. The whole thing has to be rescanned all over again. Our materials can be and are typeset in foreign languages to provide buyers detailed information printed in their own language. If the potential buyer is contemplating landscaping, the SMARTePLAN® is instrumental for a landscaper to offer a quote for the desired changes; and can be output to them, for a fee, in a compatible digital format, thereby reducing their time in rendering the property and subsequent costs charged to the (new) property owner. 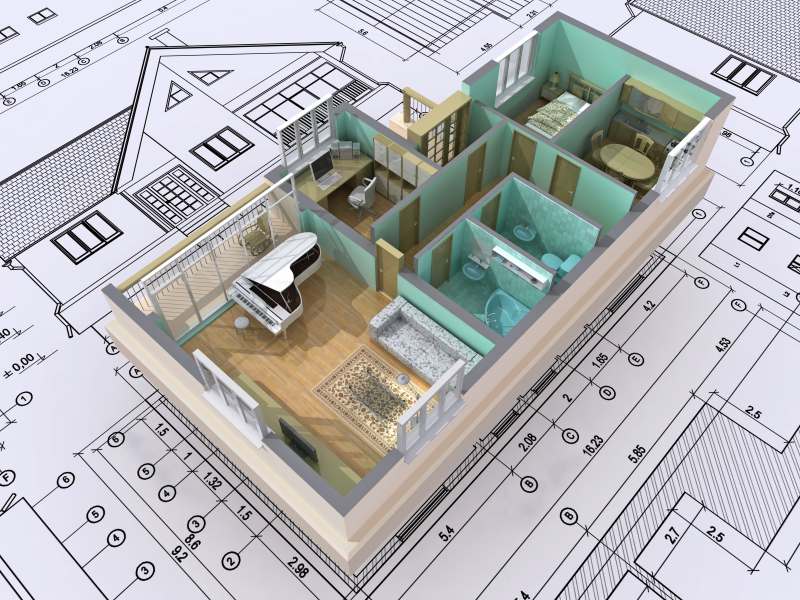 If the potential buyer is contemplating renovation, the SMARTePLAN® is instrumental for a contractor to offer a quote for the desired changes; and can be output to them, for a fee, in a compatible digital format thereby reducing their time in rendering the property and subsequent costs charged to the (new) property owner. If the potential buyer is contemplating redecorating, the SMARTePLAN® is instrumental for a decorator to offer a quote for the desired changes; and can be output to them, for a fee, in a compatible digital format, thereby reducing their time in rendering the property and subsequent costs to the (new) property owner.